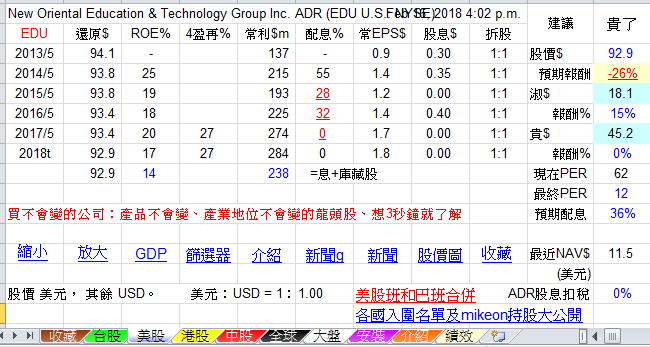 教育培訓 - 舊討論區 - 巴菲特班 洪瑞泰 (Michael On) - Powered by Discuz! 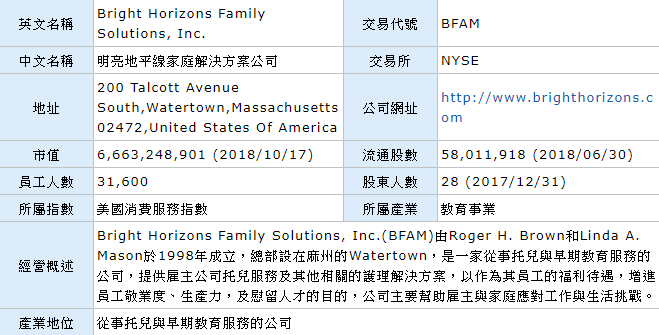 New Oriental Education & Technology Group Inc. (Simplified Chinese 新东方教育科技集团, NYSE: EDU), more commonly New Oriental (Simplified Chinese 新东方), is a provider of private educational services in China. The headquarters of New Oriental is located in the Haidian district of Beijing. It is currently the largest comprehensive private educational company in China based on the number of program offerings, total student enrollments, and geographic presence. The business of New Oriental includes pre-school education, general courses for students of various age levels, online education, overseas study consulting, and textbook publishing. 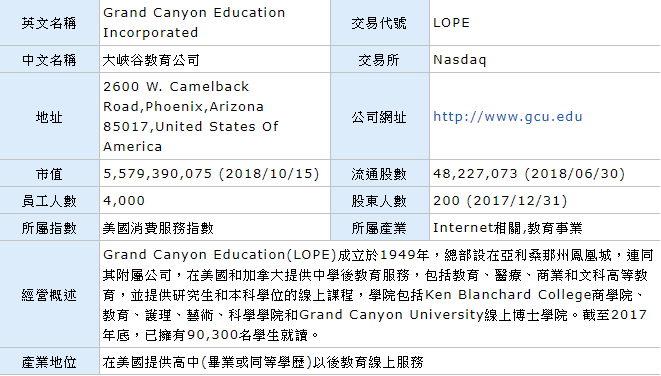 New Oriental was the first Chinese educational institution to enter the New York Stock Exchange in the United States, holding its IPO in 2006. As of 2016, New Oriental has built 67 short-time language educational schools, 20 book stores, 771 learning centers, and more than 5,000 third-party bookstores in 56 cities in China. New Oriental has had over 26.6 million student enrollments, including over 1.3 million enrollments in first quarter 2017. The company's market capitalization was approximately USD 6.2 billion. In recent years, New Oriental's revenue is mostly driven by K-12 tutoring services for elementary school and middle-to high-school students. In addition, the company has been investing heavily in online education since 2015. Estácio is a private educational company focused in the universities sector founded in 1970 in Rio de Janeiro, Brazil. It is named after the Portuguese knight and military officer Estácio de Sá, who was the founder of the city of Rio de Janeiro. It is Brazil's second largest university with over 311,900 students in 57 campuses around the country, 39 of which are located in the state of Rio de Janeiro. Estácio is the second largest higher education company in Brazil by number of students and revenues, after Kroton Educacional. The soccer club Universidade Estácio de Sá Futebol Clube is owned by the university.